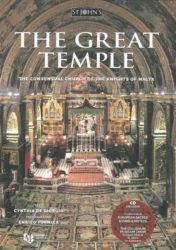 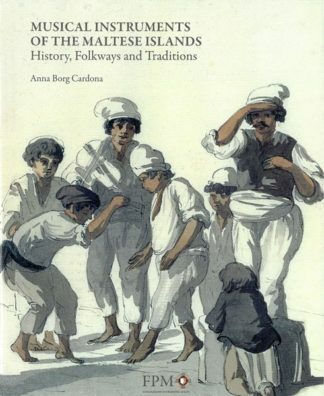 This book explores and investigates the importance of saints and heroes to the Knights of Malta. 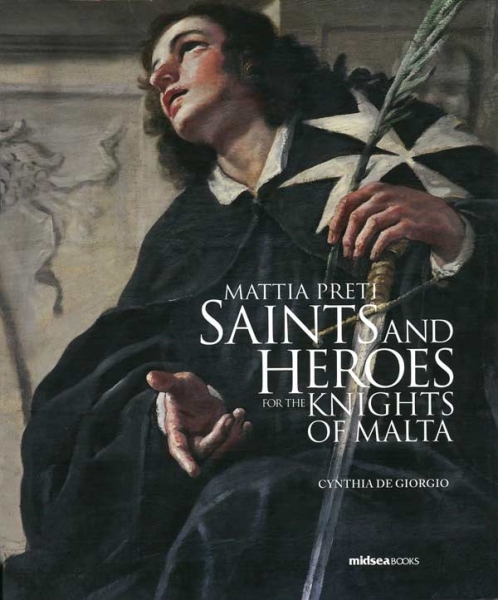 Mattia Preti’s corpus of paintings was selected as it is one of the most significant collections of narrative paintings depicting saints and heroes that received the devotion of the Knights of Malta between 1658 and 1698. 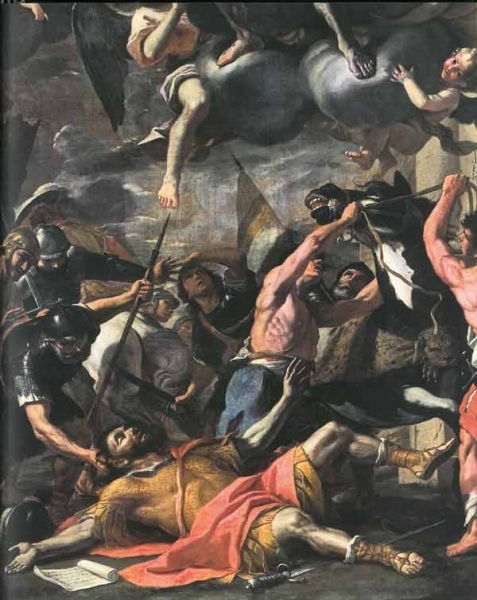 The influence of these paintings was instrumental not only for introducing new devotions but also for bringing the new expressive baroque artistic style to the Maltese Islands. 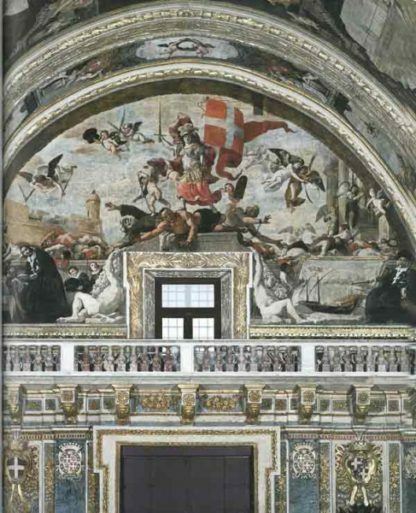 Occasionally paintings of saints which Preti produced for the Maltese clergy are included to give a complete picture of the devotion these particular saints received. The iconography of the saints and heroes brings to light their stories and legends, some well known, others completely forgotten, in a world of ever-changing cultural diversity. 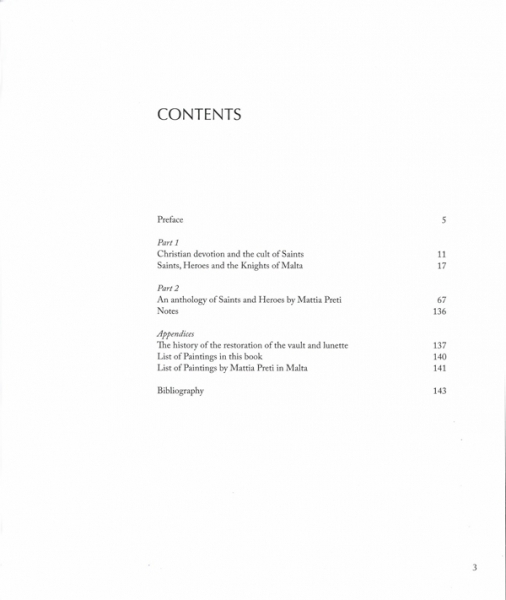 The book is organised, where possible, in the chronology of Pretti’s production. 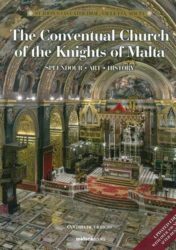 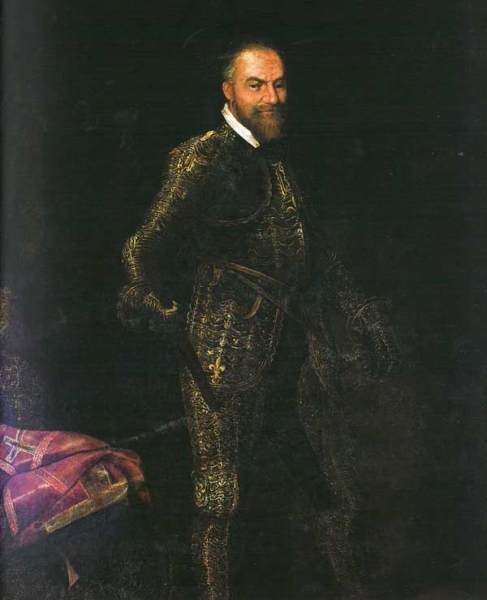 The first section of the book explores the reasons for the popularity of such paintings in the seventeenth century; the emergence of the cult of saints; and, its popularity with the Knights of Malta and how it influenced Preti’s artistic development and commissions. The second part is dedicated to the saints’ stories and legends, each followed by a description of the painting’s iconography and its narrative as Preti depicted them according to history or legend. 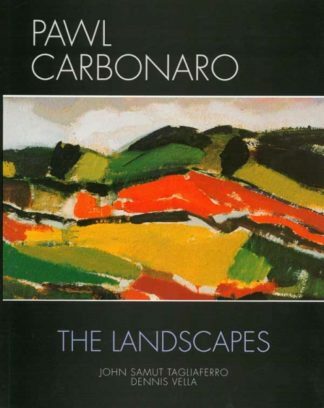 All the paintings cited in this book have been personally studied and examined.